I've finally had a bit of time to experiment with the recently released sterling silver clay. After debating whether to do some simple test pieces first or just go all out, I decided to work on a design that has been calling to me. I began by rolling and cutting out the window. The clay itself is darker in color than fine silver clay, but very malleable and easy to work with. 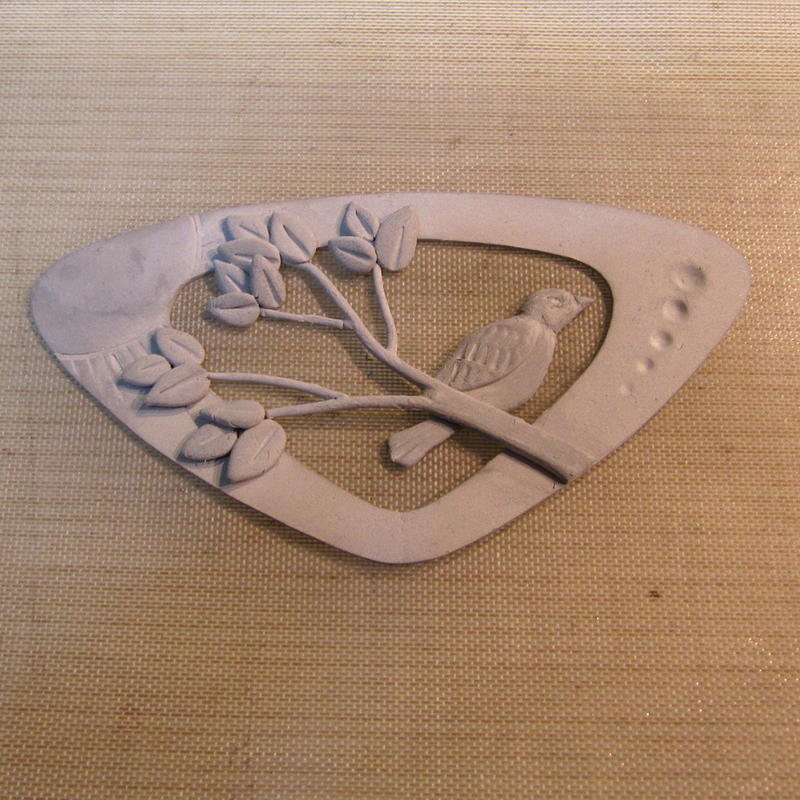 After making dozens of tiny leaves, I'd say that sterling clay is actually easier to work with than fine silver. It seems to hold moisture better and longer. I had absolutely no issues with cracking or drying out the clay from too much handling. When I felt I needed to remoisten something, I just spritzed with a fine mist of water, which absorbed quickly and returned the clay to beautiful consistency. 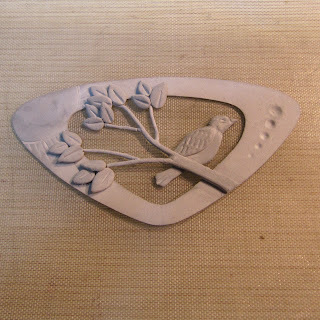 Assembly worked well with thick paste, and the bird took details beautifully, both pressed and carved. Essentially, I worked it just as I would PMC3. Now, onward to the test firing, once I get the pin back details ironed out. It is looking beautiful !! I can not wait to see the finished piece. Oooh, it looks good so far!